Lifestyle, female and male fashion, aged 20–40, with a niche interest in vintage, engineered clothing, lifestyle. Garbstore was set up in 2008, by ONETrueSaxon founder Ian Paley, as both a label, with a particular focus on well constructed, vintage-edged male fashion; and as a shop, pulling together other interesting brands/garments to sit alongside the house collection. Starting with a single shop location, and given the particular, niche audience, the web was identified as key to helping the brand develop, a position further strengthened as Ian is a regular contributor to the online fashion world. 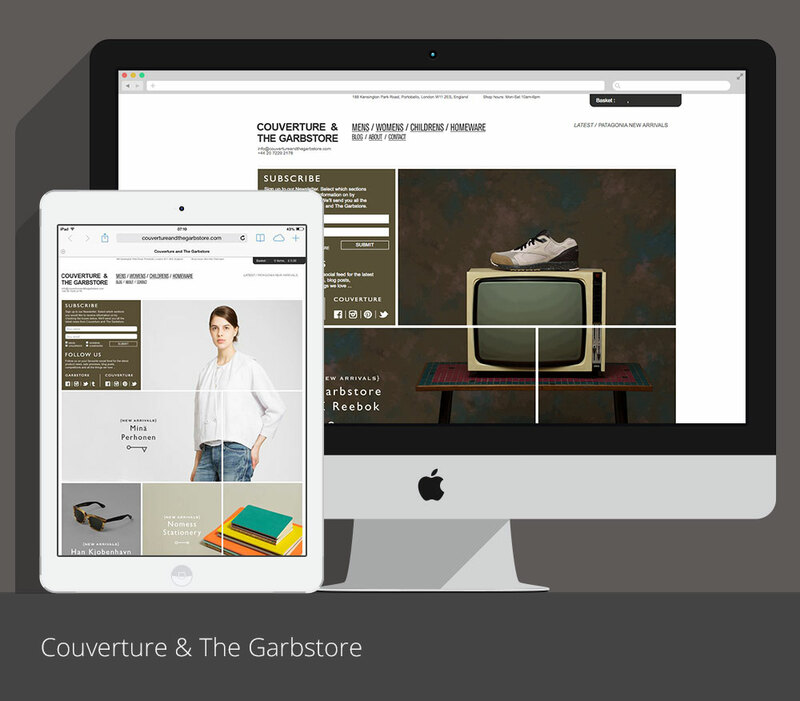 We developed a website, following the straightforward sensibility of the brand, to allow easy browsing and purchasing of both Garbstore and stocked-brand clothing (with some geo-specific exceptions), while at the same time providing a flexible platform for news, views and updates, allowing the brand to begin developing its voice. Ajax is used extensively to reduce the number of pages the user has to navigate and greatly simplify the experience. In 2009, the site was lightly re-worked, to incorporate various lessons learned from the observation of users, and to extend the brand-focus aspects. In 2010, a further art-direction piece introduced a new, more consistent and considered way of presenting product imagery.